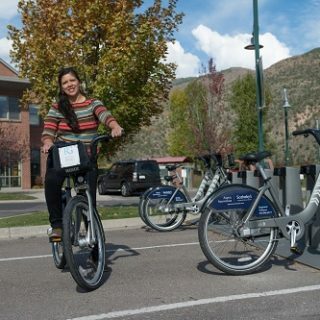 BOULDER, CO (March 26, 2019) – The Better Bike Share Partnership has awarded $83,500 in small grants to increase access to and use of bike share in low-income neighborhoods and communities of color across the U.S. This is the fourth round of grant funding that PeopleForBikes will administer as part of its partner role in BBSP. 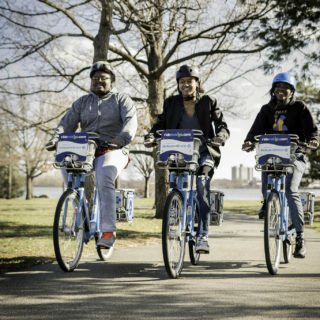 Restoration will use this funding to administer, align and award funding to four partners in New York City to host rides, offer discounted memberships, provide outreach and education, and collaborate on increasing access to and use of Citi Bike. This grant will support Fort Worth’s new program for low-income residents, including a discounted pass, neighborhood ambassadors, education and outreach, and marketing. Houston BCycle and a local community-based organization will partner to promote and provide better access to bike share in the Third Ward. Funding will support Biki’s safe cycling trainings, tutorials, and group rides targeted at youth aged 16–24. Red Bike will expand its partnership with Findlay Market to provide free bike share memberships and renewals to low income residents with this grant. Funding will help WE-cycle implement Spanish language adult learn-to-ride and riding refresher classes in partnership with the Valley Settlement Project. MoGo will increase outreach and engagement to low-income communities and institute a program focused on at-risk male teens with this grant funding. Healthy Ride will use this grant to provide additional support to its neighborhood ambassadors and increase its social media presence. Pacers Bikeshare will host community events including demos, classes and rides in four neighborhoods that will benefit from expansion in summer 2019. 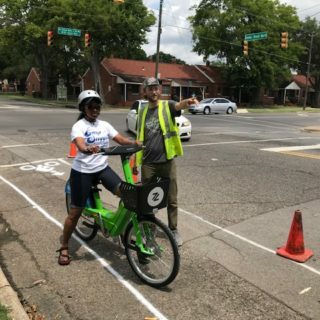 Funding will support intensive community engagement around the design and painting of a new bike share station in this neighborhood south of downtown. Funding will integrate bike share demos and education into an existing ESL program to encourage students to try bike share. Heartland B-cycle will use this funding to pilot a program to provide bike share membership cards to library branches for checkout by residents. 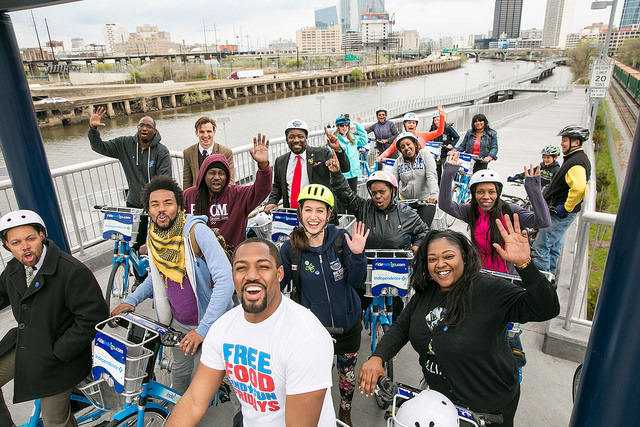 Empowerment Enterprise II; Washington, D.C.
Funding will support an event in Wards 7 and 8 to encourage residents to try bike share. >View the PDF version of the press release here.